Indonesia’s foreign policy reflects the turbulence and change which have been, and remain, a central feature of its political life. First published in 1983, this was the first book to provide a systematic and comprehensive account of the nature and course of Indonesia’s foreign policy since independence in 1949. Chapters consider the National Revolution and foundations of future policy, foreign policy in light of domestic needs, and the management of regional order. 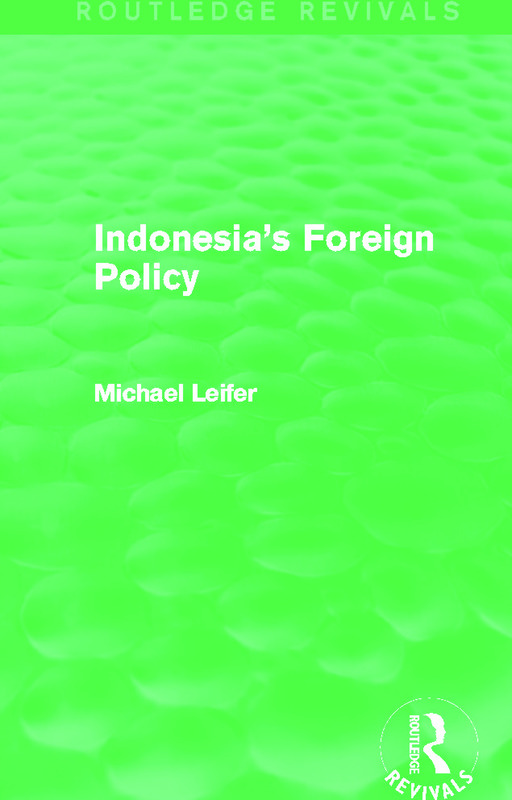 A product of many visits to Indonesia and interviews with those directly involved in the foreign policy process, Michael Leifer’s comprehensive title will of great value to students concerned with the study of foreign policy in Asia, as well as for more general readers with an interest in Indonesia and South-East Asia.